So much Porto, so little time. There’s a saying in Portugal that goes like this: “Porto works, Braga Prays, Coimbra studies, and Lisbon gets the money”. But don’t think that this means Porto is just an unattractive workhorse of a town: beauty is everywhere here, not just in the city’s geographic location at the mouth of the pretty Douro River, and in its architecture, particularly some of its early 20th century buildings. 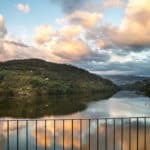 Here are 3 of Porto’s most beautiful places that I think that no visitor should miss. 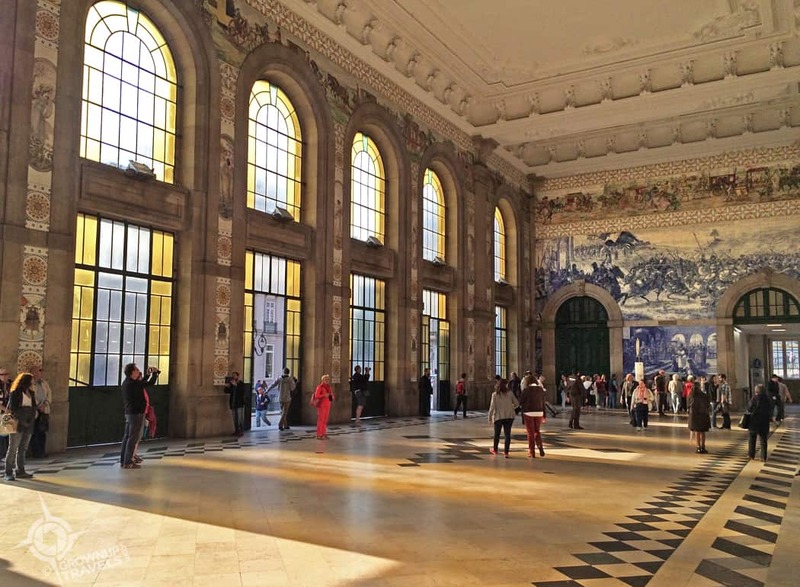 That was how the São Bento Train Station was described to us when we asked what were some must-see attractions in Porto, and after seeing it for ourselves, it’s hard to argue with this claim. Built at the turn of the last century, São Bento took 16 years to complete, partly due to the work that went into its interior decor. And when you see it you’ll understand why. In the main entrance hall surrounding enormous floor-to-ceiling stained glass windows, over 20,000 traditional azulejos (Portuguese tiles) decorate almost every surface. Train-themed vertical tiled ‘banners’ fill the space between the windows, huge blue and white murals fill the wall opposite the windows and on either end, and a colourful frieze runs along the perimeter just below the detailed plaster ceiling. 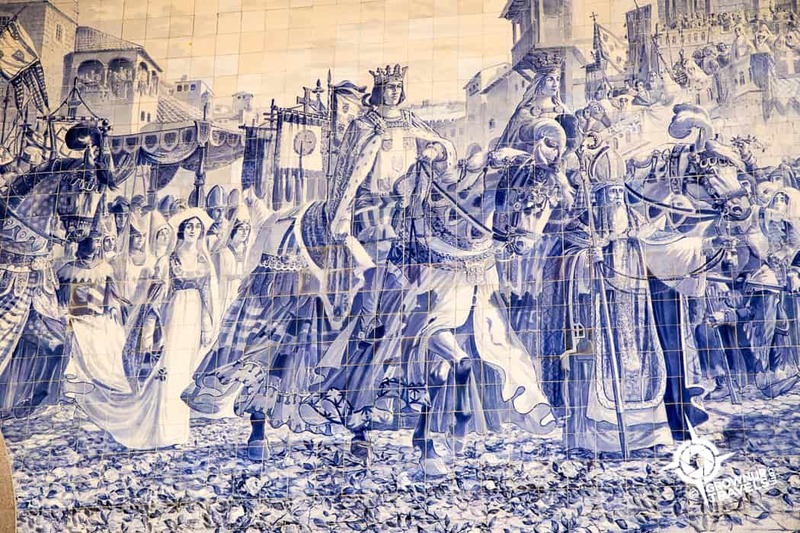 Painted by Jorge Colaco, the most renowned tile painter of the day, the scenes depict historical battles, everyday life in Porto, and significant events from Henry the Navigator’s life. 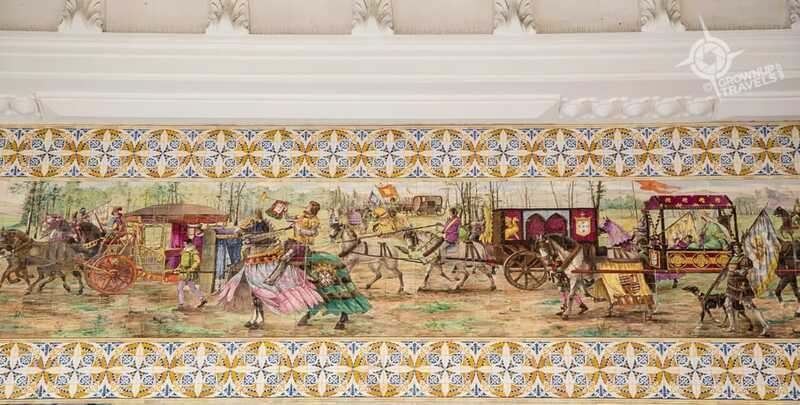 Even after 100 years, the colours on the tiles are as vibrant as the events they illustrate, and with the sun streaming in through the huge windows of the western facade and illuminating the artwork, this hall feels more like a museum atrium than a commuter station. 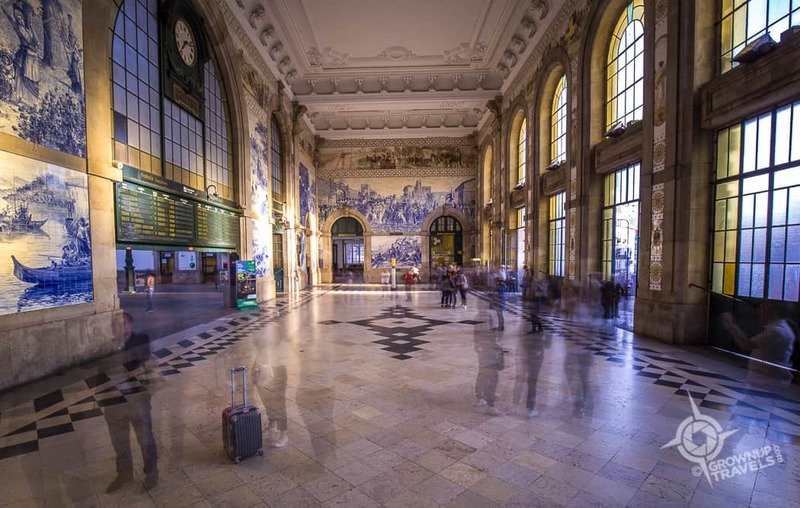 Yet, São Bento is still very much in use as the transportation hub it was built to be, and there’s something both nostalgic and exciting about seeing people coming and going through the train station’s entrance, arriving or departing on their own adventures. And with the station looking the same as it must have a century ago, it’s easy to imagine that bygone era when train travel was the most elegant and romantic way to travel. 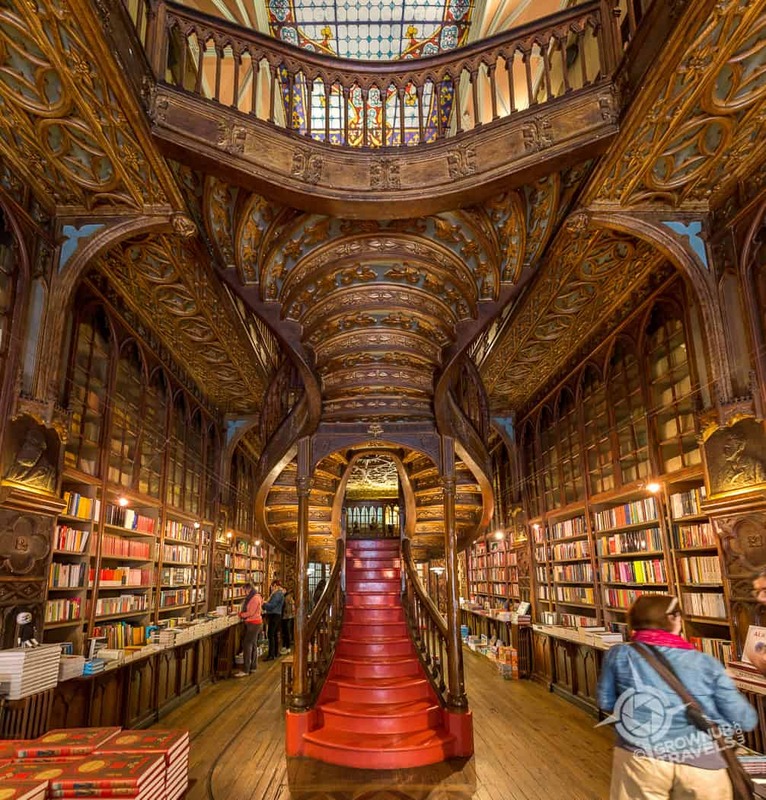 And speaking of imagination, the Livraria Lello & Irmâo Bookstore in downtown Porto is hands-down the most ornate and creative interior for a bookstore that I’ve ever seen. When they opened their bookstore in 1906, owner-brothers António and José Lello and their engineer designer Xavier Esteves hoped that the space they had created would foster intellectual thought and creative inspiration. So they brought this vision to life in the design of the Library itself. 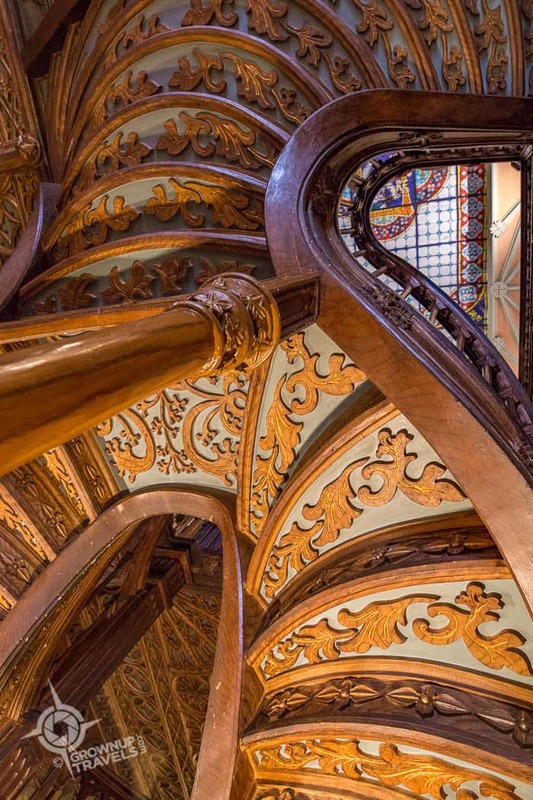 It’s hard not to be enchanted when you enter the bookstore and the first thing you see is the Lello’s incredible organic staircase with its elaborate carvings, winding stairs and what appears to be a floating, ballustraded bridge spanning the two-story atrium. The staircase is deceiving in other ways beyond its gravity-defying construction: although it appears to be made of carved wood, it is actually made of reinforced concrete (the first time this technique was introduced in Portugal), which was covered in carved plaster and painted to look like wood. 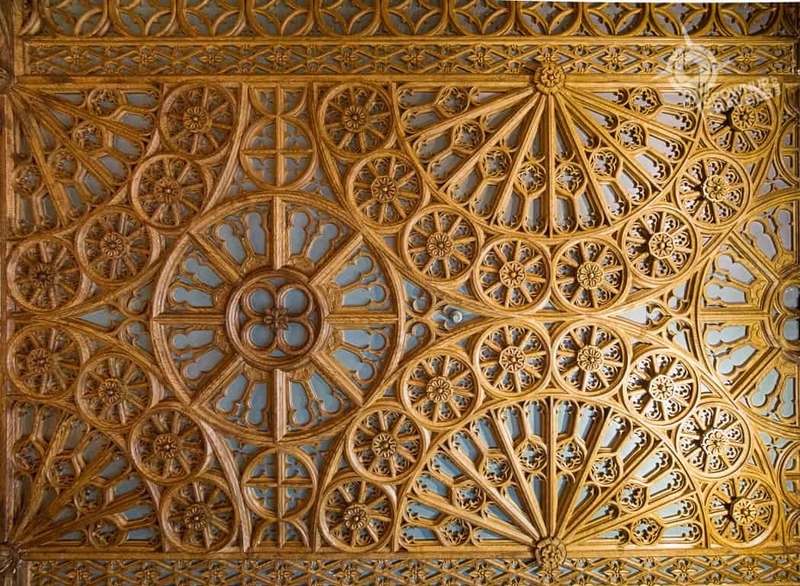 The same technique was used on the ceiling above, and it is this balance of ornamentation and innovative engineering that is part of the magic of the Lello’s interior design. Rumour has it that it was this kind of creative thinking and ‘magical’ aesthetic that inspired JK Rowling to write her own Harry Potter books. (Rowling did live in Porto and was a frequent visitor to the library but she has never confirmed or denied the claim.) 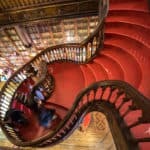 Regardless of whether it is true or not, the JK Rowling connection attracts even more visitors to the Livraria Lello to admire its Neo-Gothic décor (up to 3000 people a day come here in high season). It has become so busy, in fact, that the bookstore now charges a 3-euro admission fee to help manage traffic and offset curious visitors who only come here to see and not to buy. While admiring some of the books, I struck up a conversation with Rui, a passionate employee who remembers coming here as a child and being left for hours to read while his brother was at classes in the nearby university. His grandfather also worked here, so the passion has been handed down through the generations and Rui’s love for the bookstore and what it represents was a delight to hear. Everything here from the floor-to-ceiling bookcases, to the ‘wagon track’ that was originally used to shuttle freshly-printed books from one end of the store to the other, has history, meaning or purpose. But it is its beauty above all that sets this enchanting bookstore apart. 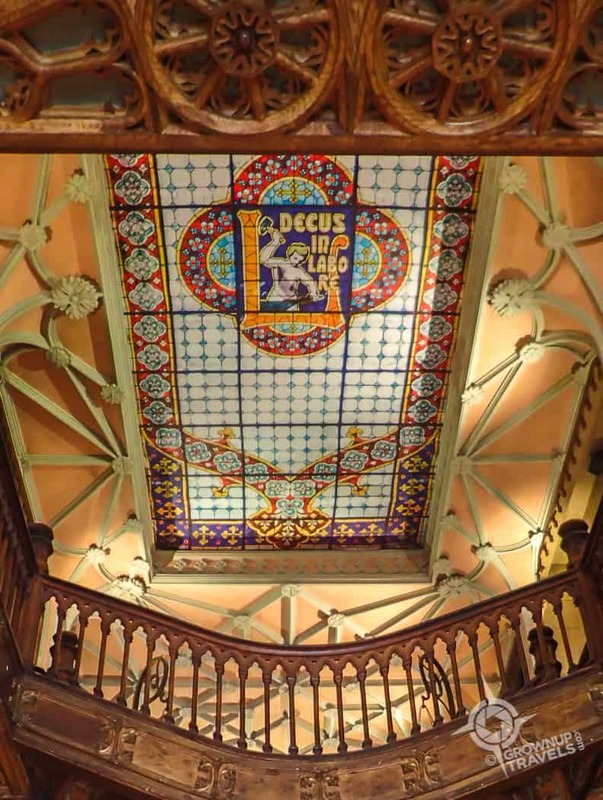 Like its motto in the stained glass skylight above, the Lello Livraria proves that “Decus in Labore” (There is honor in work) – or work of art, in the case of this store. 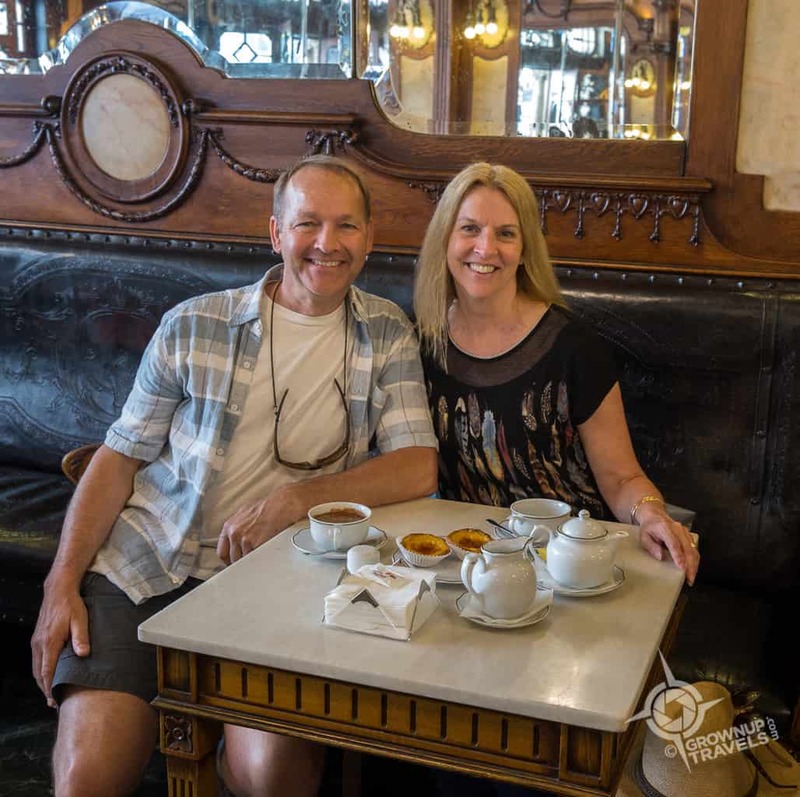 Our last stop before leaving Porto was at another storied location dating back to the Belle Epoque – the aptly-named Cafe Majestic on Santa Catarina Street. Opened in 1921 to much praise, but under the name “Elite”, the cafe soon became a favourite destination for the well-heeled patrons who frequented this pedestrian shopping street. 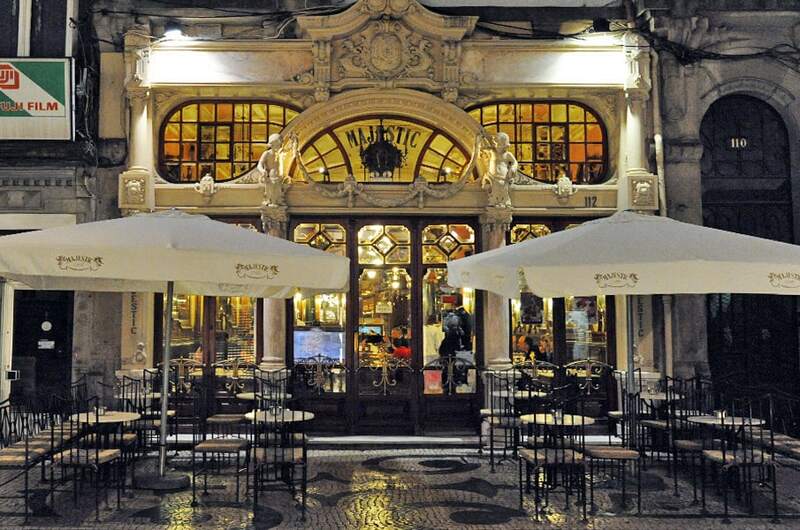 But ‘Elite’ carried with it a hint of the monarchy at a time when the people of Portugal were exploring a more republican future, so the name was changed to Cafe Majestic instead to appeal to these left-leaning intellectuals. Designed in the Art Nouveau style of the times, architect Joâo Queiroz layered on the embellishments inside, with carved plaster ceilings, curved window frames, elaborate bevelled mirrors and embossed leather banquettes and chairs. 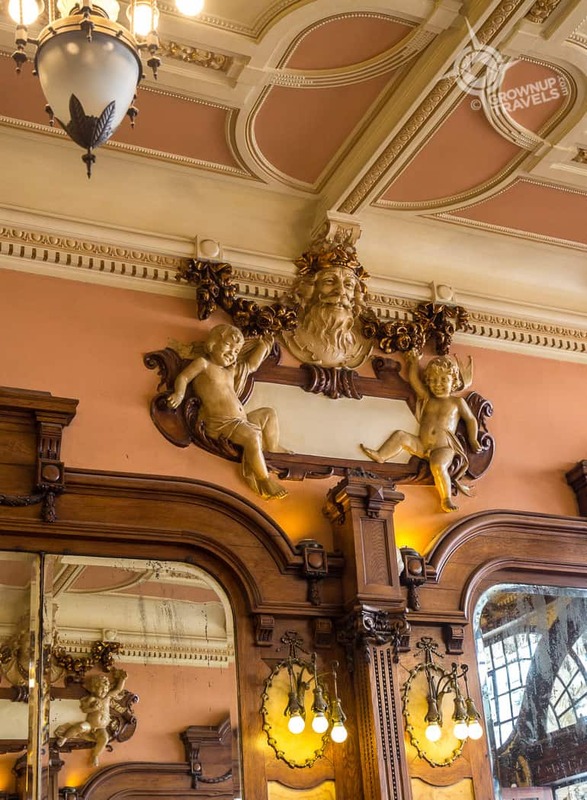 Outside, an equally gracious facade invited passersby to come in and indulge in Afternoon Tea, a popular Portuguese institution, or perhaps a glass of absinthe like in the popular Parisian cafes after which the Majestic was modelled. What’s a few more calories when the cafe is this pretty? 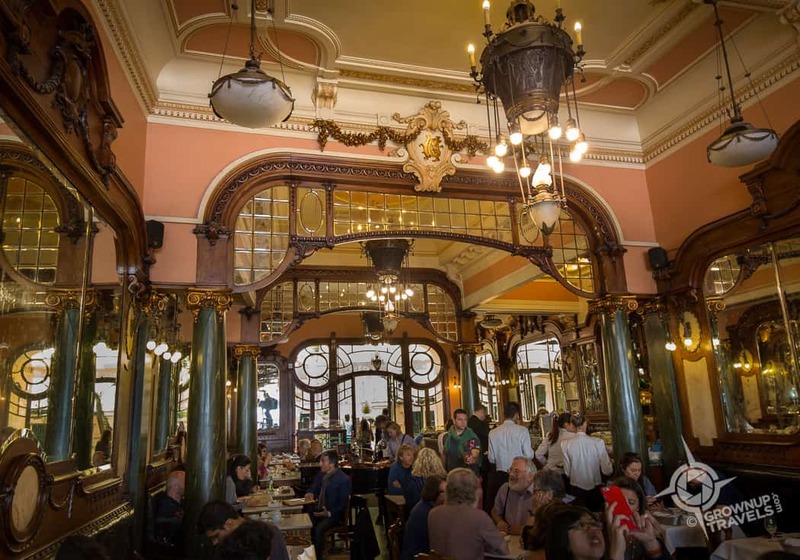 Visitors to the Cafe Majestic have the city of Porto to thank, because it was the local government who recognized the significance of the cafe and rescued it after decades of neglect. Painstakingly restored over 2 years from 1992-1994, the Cafe Majestic is once again the stylish destination it once was. And yes, it’s a little pricey, but if that is the cost of bringing an historic landmark like Cafe Majestic back to its former glory, I don’t mind paying a Euro or two more to enjoy this kind of eye candy. 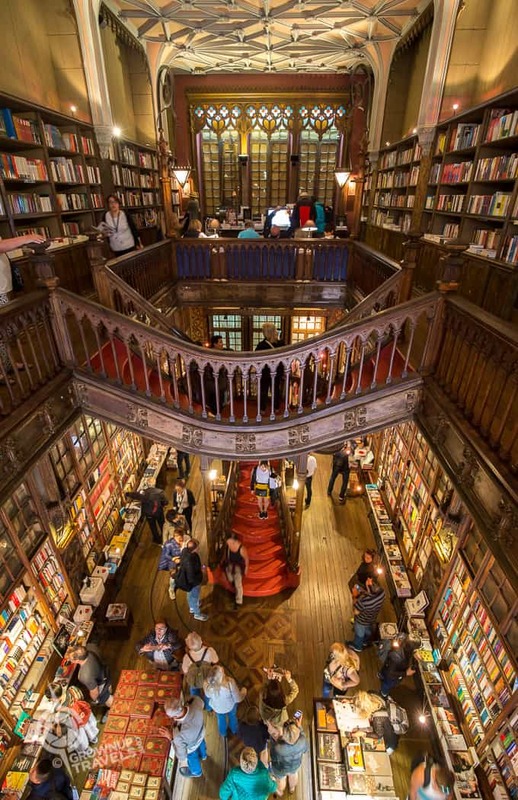 TIP: Tickets for the Livraria Lello bookstore can be purchased just opposite the store at a kiosk which opens at 10am every day, 11am on Sundays. (Map is here) You can also buy your ticket in advance and go directly to the store when it opens in order to avoid the worst of the crowds. Note: we visited in May 2016 and the facade of the building was under scaffolding and the stained glass skylight was also being restored with a replica in its place instead. Douro Royal Valley Hotel & Spa-aahhhh! We are planning a visit to Porto in the fall. What a terrific post! I’m saving it because I want to visit all three of these beautiful places. Thanks Irene! It seems a lot of people are heading to Porto so I’m glad the post will come in handy. What a wonderful posting about Porto and its awesome sights! I had not heard that the bookstore charges an entrance fee and I suspect it is unique in that regard. You have inspired me to put Porto on our list of places to visit again since we clearly missed some of its best treasures the first time around. Thanks for a great posting! PS The Porto train station was finished in 1916, at the turn of the last century. Thank you Denis! 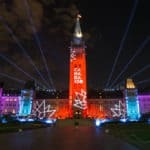 (and thank you for the correction re: which century! I always seem to forget we’ve passed another ‘turn’ LOL) And as for the Lello, I think the admission fee is a good idea since I’m sure most of the visitors don’t actually buy anything, and the monies go towards maintaining the store as a store. 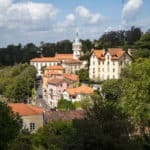 We’ve spent six plus months immersing ourselves in beautiful southern Portugal and, except for a few overnight trips to explore Lisbon and Sintra, have yet to see Central or Northern Portugal – obviously a huge mistake! Love your photos of all three locations but I’m really intrigued by the train station with all of its azulejos. 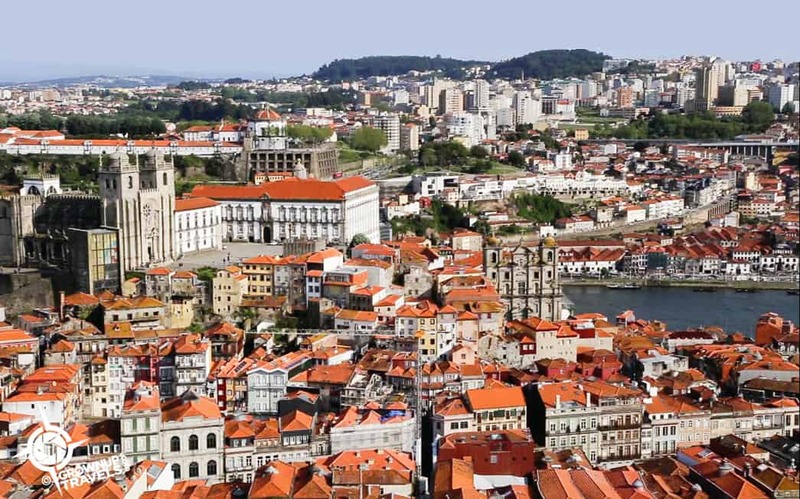 Thanks for all of your tips and all I can say about a visit to Porto is … I can’t wait! Lucky you, spending so much time in Portugal, Anita! We only spent a brief amount of time in the Algarve (stunning!) so I am envious of your extended stay and in-depth knowledge of that part of the country. I am sure you will love Porto and if you go, definitely head up the Douro River – the scenery there is gorgeous. 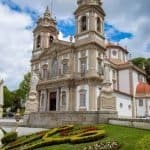 How magnificent each of these 3 beautiful attractions in Porto is! Just stunning. 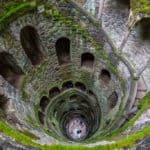 I would love to visit Porto, and my appetite is whetted by posts like this and recommendations from other raving fans. 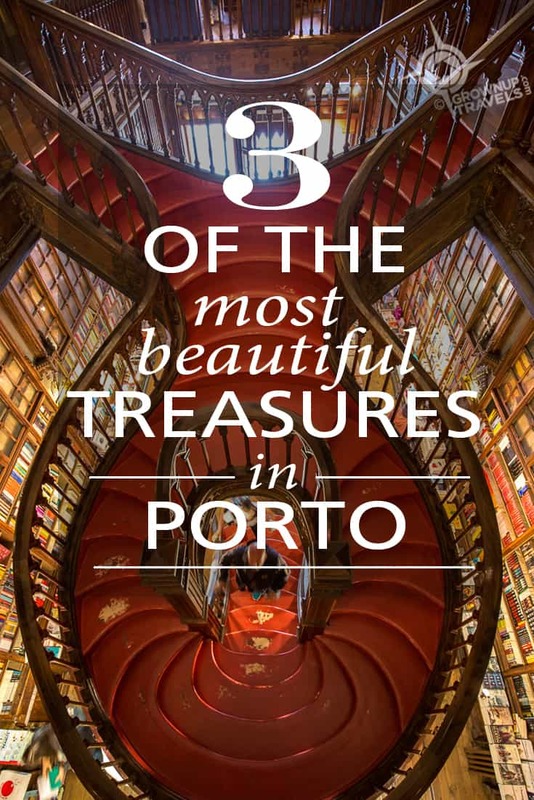 I really think that Portugal is Europe’s best kept secret, and Porto has some of its own secrets like these ones too. So glad you enjoyed seeing them even vicariously! Wow, those are all stunning, I didn’t get to see these when I visited Porto oh say 30 years ago. Definitely gives me an excuse to come back and see these in person, loved the tour! Thanks Noel! We were as surprised as you with these locations, with no real idea of what to expect from Porto. Needless to say, we were more than impressed! That’s it. I’m definitely going to Porto. Love your photos and that you picked out truly beautiful places to see (and photograph). The São Bento Train Station is unreal as is the bookstore. Thanks Jan – and you should look into Julie Dawn Fox’s suggestion for the Palacio da Bolsa, too. She is an expert ex-pat living in Portugal, so I would follow her advice and add that to the list! Thanks you for the trip down memory lane. We spent 5 days in Porto in May 2015, my first visit, hubby’s second. We absolutely love Porto and I seriously believe we could live there. Interesting that the bookstore is now charging admission, actually a good decision for them as most people don’t spend a dime in the store, rather they just go in and take photos. At the time we visited there was no charge/ticket for entering. Loved all of your photos as we have many of the same. I agree, Patti. I’m sure with over 3,000 visitors a day, most of those were just photo-takers not customers. So this way, it’s not that high a fee, the bookstore benefits, and can maintain what must be a costly location. I agree wholeheartedly with your first two choices and I could happily spend all day in Lello bookstore, it’s so gorgeous. 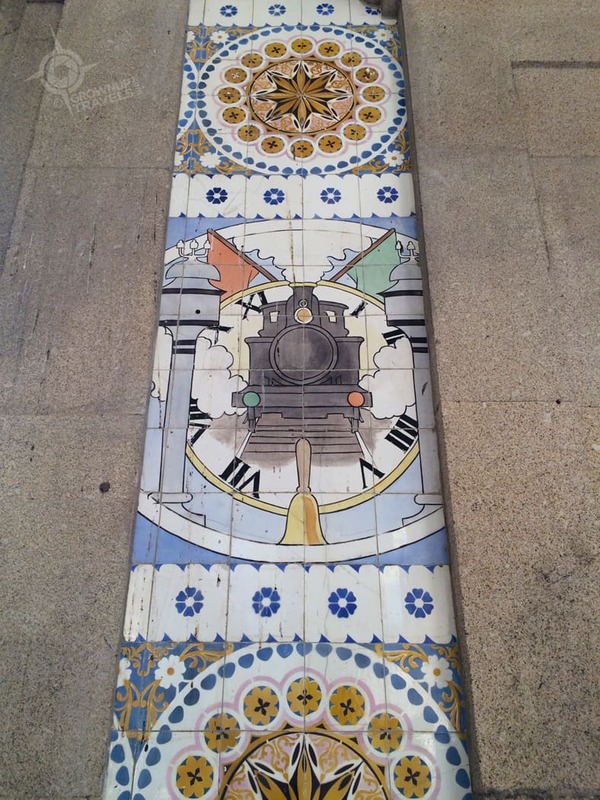 The tile panels in the train station got a thorough cleaning a few years back, which is why they look so good now – they were rather grimy after years of indifference but are now fully recognised as the treasure and attraction they are. 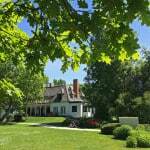 Thanks Julie – and you would know the best spots. We’ll have to check out the Palacio da Bolsa the next time we visit – maybe we’ll fly into Porto this time, versus Lisbon, so we get to explore more. I love Porto and reading your piece brought back some great memories. I didn’t get to the bookstore (just didn’t have the time to stand in line) and didn’t even know about the Cafe Majestic so I guess I need to go back! Thanks for the info on getting advance tickets to avoid the bookstore lines. I’m guessing you have a few places of your own in Porto that we would love to see, too (we had so little time there this trip). Which means we both need to go back there, Kay!